This floral assortment contains sunflowers, roses & spider mums. Go ahead. Let it pull you in. This inviting mix of bright sunflowers, soft roses, and intriguing spider mums creates a refreshing look you can't get away from. (And why would you want to?!) 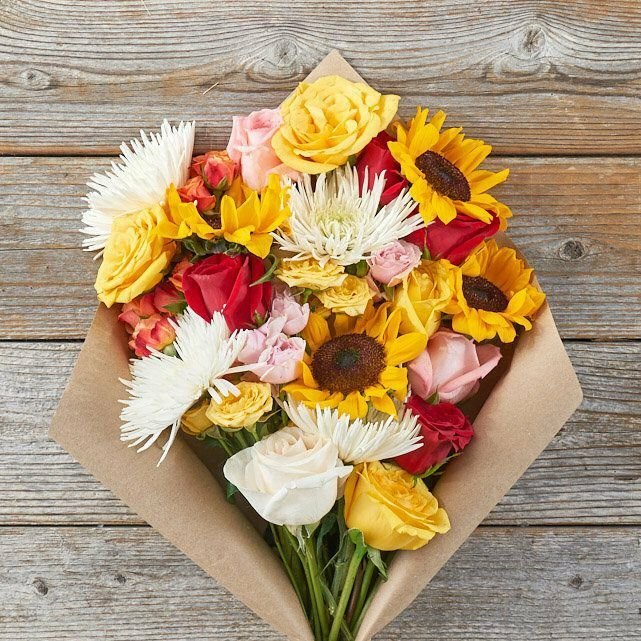 Each flower in this Bouq comes straight from our eco-friendly, sustainable volcano farms (yup, farms located on the side of a volcano) to your recipient's door.